This grape variety was introduced by the monks of the Bourgueil Abbey in the Xth century. It is a grape capable of making genuinely refreshing, light- to medium-bodied red wines, but also full bodied wines ideal for long ageing. 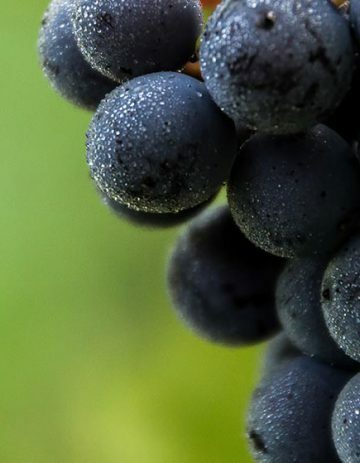 Cabernet Franc prefers cool, inland climates such as the Loire Valley. The towns of Chinon and Saumur-Champigny are important historical bastions of varietal Cabernet Franc wines, which are prized for their ripe berry and spice elements. Lighter examples from these appellations generally exhibit graphite and red licorice notes, with darker wines showing more cigar and leather aromas.